The Dakenag Rippers come in 3 sizes, 4’ with 4 tynes, 5’ with 5 tynes and 6’with 6 tynes. Suitable for smaller horse power tractors. 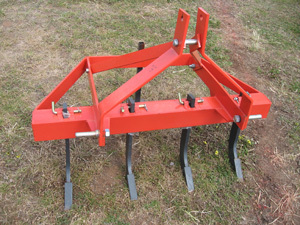 Ideal for ripping had pan soils, preparation for tree lines and upsetting rabbits.